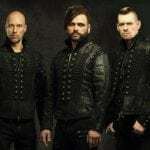 Background/Info: Jürgen Engler, Ralf Dörper and Marcel Zürcher aka Die Krupps have set up a new project named Die Robo Sapiens. There where Die Krupps always ends with electronics mixed with guitars, this new band wants to be 100% electronic and devoted to good-old EBM. This EP is a teaser to the debut album. 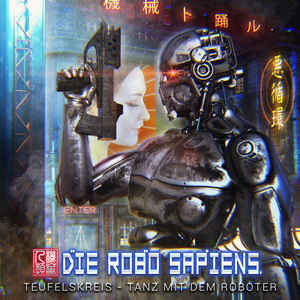 Content: The EP reveals 2 songs of Die Robo Sapiens plus 5 remixes. The songs are definitely inspired by good-old, vintage EBM. The sound formula is based upon solid bass lines, robotic effects and vocals plus rhythmic reminding me to Liaisons Dangereuses. The sound is pretty different from Die Krupps and definitely music for the EBM community. Remixes were accomplished by Elektrolänge, Sebastian Komor, Metroland, Armageddon Dildos and Rector Scanner. + + + : This debut EP reveals a strong potential and Jürgen Engler and his acolytes simply reveal (or confirm) to still have the secret formula to compose great EBM music. There clearly is a strong vintage flavor hanging over the songs, but it has been mixed with refreshing elements. It’s a new challenge for those experienced and renowned artists and the least I can say is that this work is fully accomplished and the perfect stuff for dancefloors. Both songs are great although I’ve a preference for “Tanz Mit Dem Robotor”. There also is an interesting selection of remixers and I here have to mention the mind-blowing remix of “Teufelskreis” by Seb Komor. Armageddon Dildos also did a cool remix while Metroland as Belgian band reinforces the link with Kraftwerk. – – – : There clearly is a move back to the roots of German electronics and more especially to EBM, but I hope the album will not become an emulation of Kraftwerk and co. I regret this EP has been not released as CD format. Conclusion: An EP is mainly meant as an appetizer before the release of an album. All I can say is that this is a strong and successful work announcing a promising album. 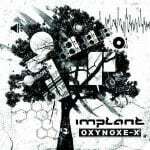 This is the kind of record, which reminds me why I like EBM! Best songs: “Tanz Mit Dem Roboter”, “Teufelskreis”, “Teufelskreis – Sebastian Komor Remix”.